Nothing is worse than waking up on a freezing cold winter’s night to chilly temperatures in you home – only to turn on the heat and discover your boiler isn’t working! If this scenario happens in your home, you’ll want to know you can contact a boiler contractor who’s reliable, dependable and qualified. If you’re faced with a boiler emergency, Clarkstown Heating & Air Conditioning can help. We’ve been providing people with the best boiler repair available since 1976, and we can assist you with boiler repair in your Rockland County, NY home. We’re able to provide emergency service, so you won’t be left out in the cold should your system break down. At Clarkstown Heating & Air Conditioning, we pride ourselves on honesty and integrity, our advanced HVAC training, experience and expertise, and our commitment to providing the best customer service available to Rockland County, NY residents. While we install high-quality, high-efficiency Carrier® and Triangle Tube® boilers, our expert technicians are trained to provide expert boiler repair services on any make or model of boiler system you have. Whether you own a Weil-McLain, Peerless, Prestige, Buderus, or any other brand of boiler, our technicians are skilled in boiler system repair and will easily be able to identify any issues your system is experiencing. 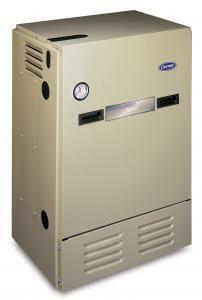 Why Choose Clarkstown for Boiler Repairs? 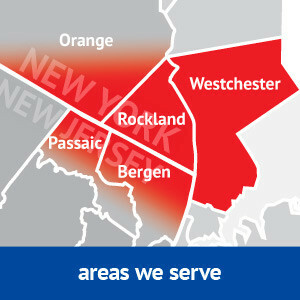 Clarkstown provides professional boiler repair throughout the Rockland County, NY area. At Clarkstown Heating & Air Conditioning, you can count on us 24 hours a day, seven days a week. And, customers with service agreements with us receive priority service, which means that you’re placed at the top of the list for emergency repair services, even during the busiest times of the year. With a service agreement, you’ll also have the benefit of an annual tune-up, too, so the boiler in your Rockland County, NY home will be less likely to break down and need repair work, even on the coldest day of the year when it’s working its hardest. Don’t be left out in the cold this winter – count on Clarkstown Heating & Air Conditioning to help with the boiler repair needs of your Rockland County, NY home. When you need boiler repair quickly, you can trust us to assist you. Just give us a call at (845) 620-1000, and we’ll be happy to help you stay warm all winter long.